Every year, every single retiree that owns an RV is summoned, instinctually, to migrate to Arizona. This little known medical anomaly is irresistible to anyone over 55 years of age, and is the only known cure for shoveling your own driveway. Thus, entire communities like Quartzite have sprung up, where boondocking sun worshippers live for free in the middle of nowhere and RV park villages appear with their sewer pipes and Christmas flamingos galore. People play bridge, drink non-alcoholic beers and drive their pomeranians around in golf carts. 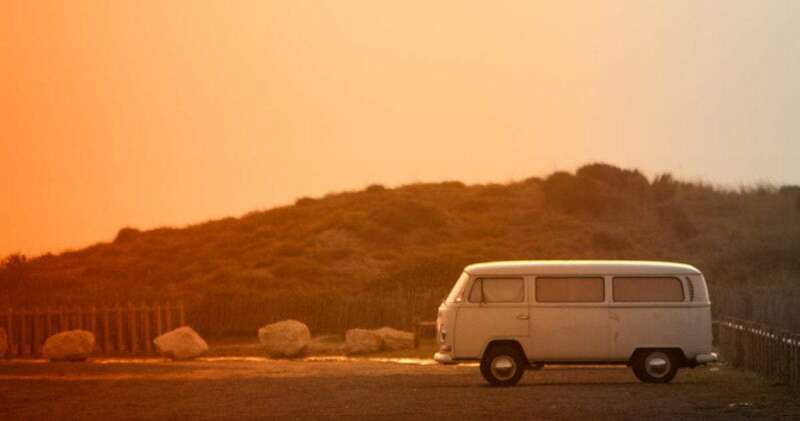 It’s a blast, no doubt, and many of these RV parks even boast an over 55 rule loud and proud. That doesn’t mean Arizona doesn’t have something offer for those of us with one less foot in the ground, though. Aside from hosting a myriad of national parks and monuments well worth exploring, a smattering of interesting small towns, and the only state that can verifiably promise to keep the heat up all winter long now that even Florida is succumbing to “shorts won’t cut it” weather in the colder snaps we’ve seen around the nation as of late. Thus, no doubt that us whippersnappers will be infesting lands once traditionally held by the retirement generation. Rather than try and compete with them for “Best Shuffleboard Table Setup” or “Most Things Towed Behind a Class A: Ten Years or Newer”, let’s explore the more active, perhaps more exciting parts of the state. Miles of hiking through this park named for the beautiful cacti that fill it, set yourself in search of the elusive cristate saguaro. 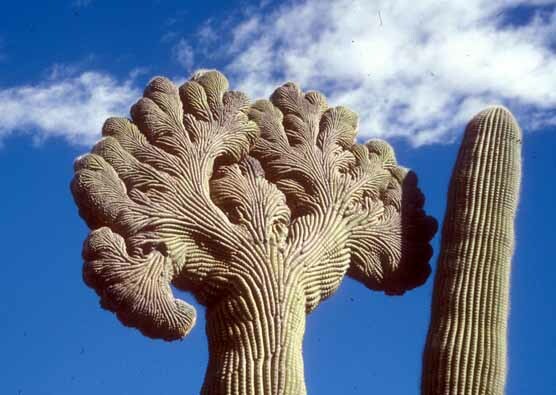 Saguaros are the iconic “cowboy leaning against a-” cactus of the southwest, and every now and then a fluke in stem division causes them to mushroom out into a true piece of natural art. Free camping is abundant in places like the free BLM land of Darby Well Road and Gunsight Wash, where the fourteen day camping limits are sometimes overlooked for those who find the park and nearby, artsy if small towns of Ajo and Why. You can fill up on water in town for a minimal fee, and shower in the national park campground facilities which include solar showers and a plug if you need to tame the old beard. Both BLM spots have locations where cell service is decent enough to work or remind Instagram that you’re still here. If you brought your passport, you can hop into Mexico and explore neighboring El Pinacate y Grand Desierto de Altar or keep on going straight to the Sea of Cortez. Photo via the National Park Service. If absolute solitude is your goal, but the idea of checking your Snapchat isn’t off the table, take your camera to this wildlife refuge where you’ll find a pristine sky island–imagine a paradise shaded in sycamores living high above the desert or rolling hills of golden grasses juxtaposing distant, faded purple mountaintops–and exotic animals like the pronghorn or Gila monster. Buenos Aires National Wildlife Refuge. A grocery store and cantina are available in nearby Arivaca, and the US Fish & Wildlife Department provides primitive camping in the refuge. If that’s not enough to entice the wildlife seeker in you, between 2004 – 2007, jaguars were sighted in the national wildlife refuge. 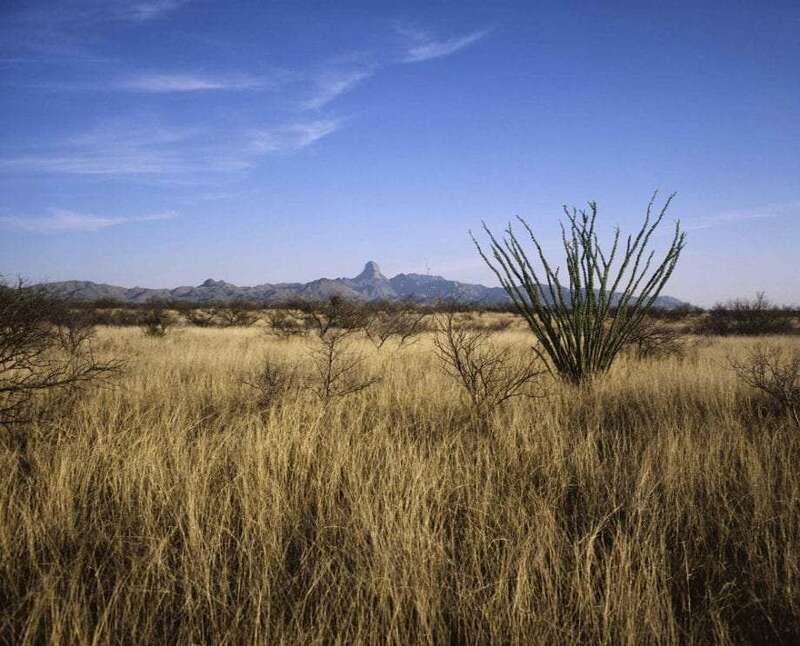 Just south of bustling Tucson, or as we like to call it, “A Way Better City than Phoenix”, the Coronado National Forest spreads out across mountains, grasslands and desert alike. The most prized camping in the forest is at the limited-occupancy Cieneguita Camping Area, where yuccas and mesquite dot a vast grassland. Expect lonely southwest expanses where more cows will come to visit than fellow humans, though at times it can be difficult to get a spot. Luckily, national forest campgrounds and BLM land are abundant. Wild camping at places like Harshaw Road put you fifteen minutes outside of the adorable town of Patagonia, Arizona, where a coffee shop, bakery and better-than-expected restaurants make the town as enjoyable to visit as the national forest itself. The Mexican side of Nogales gives you a chance to explore our neighbor to the south, as well, only half an hour from Harshaw Road. Parker Canyon lake offers a completely different experience, as the dam and reservoir combo creates an aquatic sanctuary for the usually dry, often harsh conditions of the more typically desert climes of Arizona. Facilities like boat rentals and a country store accentuate a primitive, $10 national forest campground. We did an entire issue on exploring Bisbee, Arizona. Yeah, we love it that much! 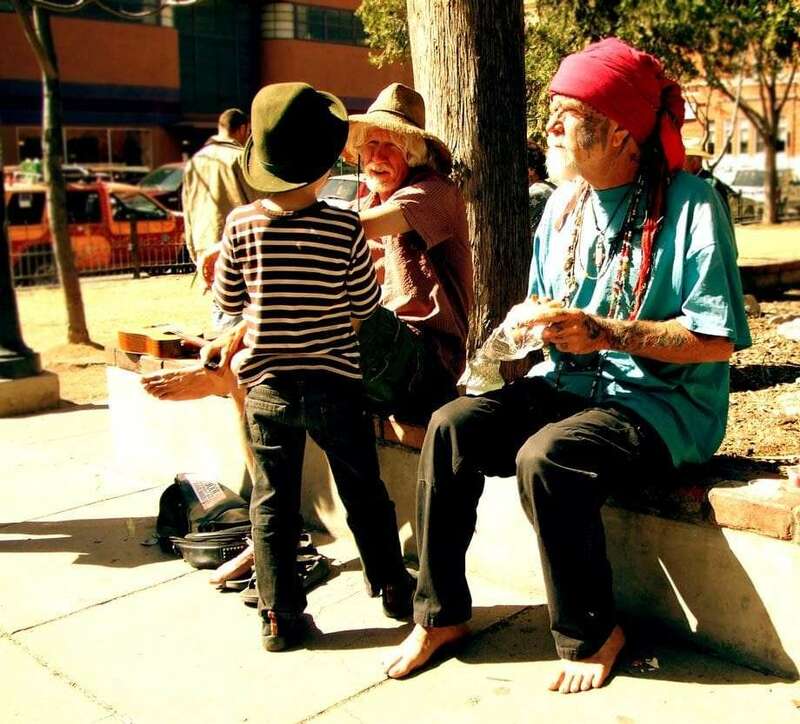 If you’re more interested in an eclectic town who’s typical citizens are more likely to have facial tattoos and mysterious names than you are concerned with getting lost in the desert, Bisbee is one of the most interesting small towns in the entire country. An old west vibe mingles with artisan shops, dive bars and a fancier side, too, as mountains rise up in all directions. 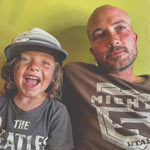 Give the hike to the shrine a chance, and though free camping is over half an hour away, it’s worth it to pay to stay at the Queen Mine RV Park and enjoy a little walkable nightlife in this village full of buskers, bands and old hippies. Plus, the hokey wild west reenactment town of Tombstone, not far north, is always a site to see. Arizona’s state parks are sometimes grand, sometimes a bit less so, but those in the south–often wearing a price tag of around $30–can be a great place to pay a little extra for a night of electricity, water and access to showers. 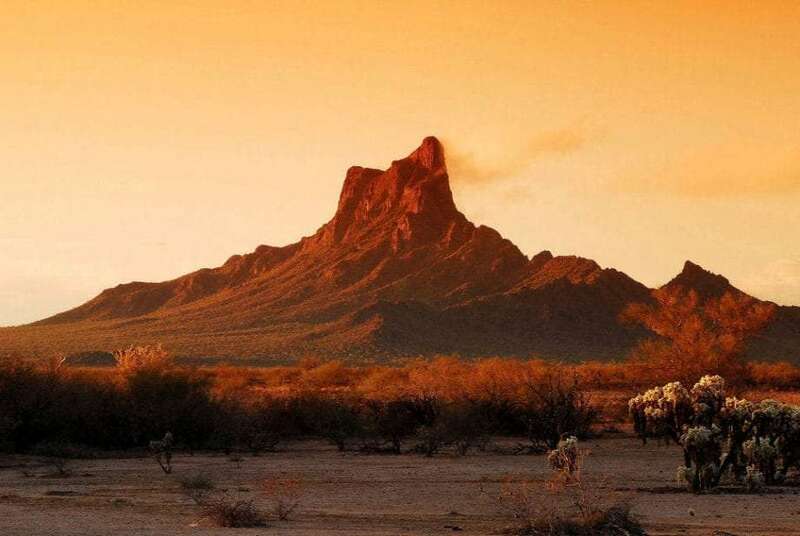 Places like Picacho Peak promise desert mountain hiking with big view payoffs…even if they include a busy highway in view. Greetings from Picacho State Park! The hum of the highway, Phoenix outskirts in the distance, and the promise of a campfire. 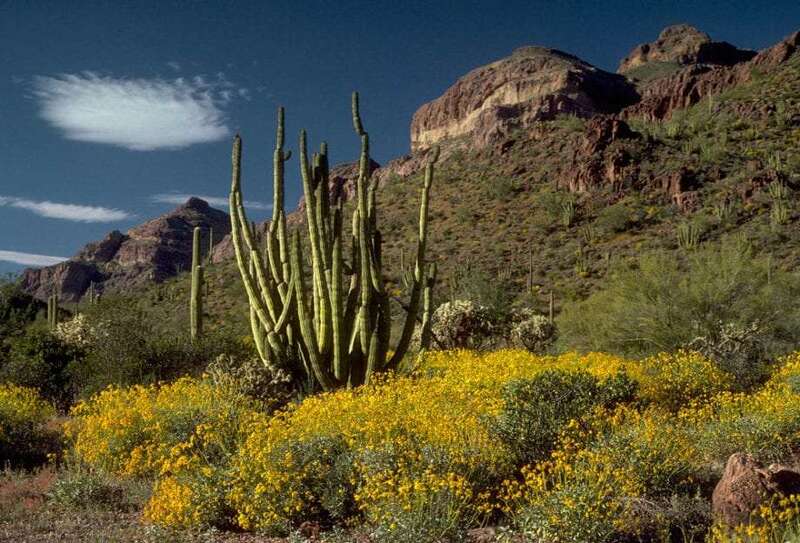 Catalina State Park puts you in nature but a quick drive to the amenities of Tucson, if you like your plugs and showers accompanied by a Starbucks and an AutoZone. The aforementioned town of Patagonia has a state park as well, including campsites that require you to row across the reservoir to access. Kartchner Caverns and Roper Lake State Parks offer their own slice of opportunities as well. Regardless of where you go, with average temperatures in January only dipping into the mid-60s in the daytime (and staying above 40 at night), and the variety of elevation one can find in order to tailor the outside to their particular liking, Arizona is at least about as comfortable as you can get (even Florida’s warm winters typically come with a lot more bothersome insects and big city / highway traffic). If exploring a desert dotted with fun small towns, empty expanses and exotic flora and fauna sounds like a great way to spend your winter, the Copper State is easily the top pick when the snow begins to fall around the rest of the nation. Discovering the hangover town trapped in time and beauty between the Mule Mountains. Photographs and facts about Joshua trees, Joshua Tree National Park, and other plants of the Mojave Desert.